This month, the editorial team of the NCT Magazine interviewed Col. Christophe Baumberger, the Deputy Commander of the NBC-EOD Center of Competence of the Swiss Armed Forces in Spiez, Switzerland. Drawing on his strong experience in the sector, he shared invaluable insights into the world of CBRNe preparedness and prevention in Switzerland as well as the key priorities and tasks of the Center. Col. Baumberger is currently heading the division of Doctrine-Operations, in which he has led various projects building the Swiss military CBRN defense capabilities. He is a member of different international working groups and participates in various civilian and military expert groups, such as the Coordinated Medical Service in Switzerland (KSD), EEDDPS, and professional civil-military CBRN rapid intervention element in Switzerland. 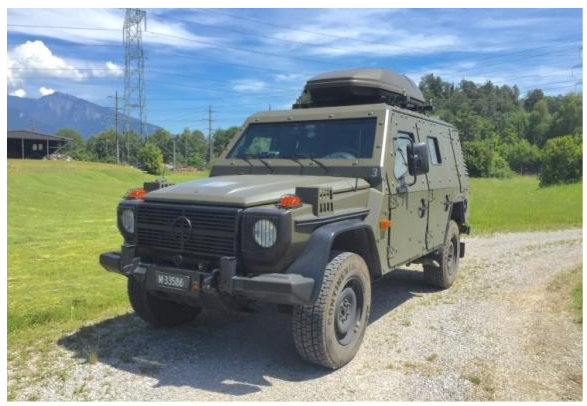 He has participated in various military training exercises, such as in Croatia (ASSITEX 1 from the OPCW), EURAD 2010 (as NCC from the Swiss contingent) and was head of the project "D-CH ABC FTX 14" in Geneva. 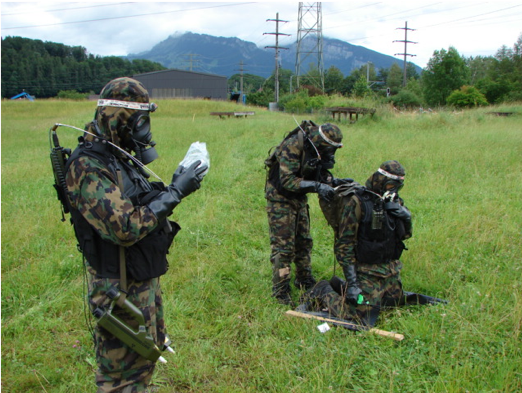 NBC Defence Troops of the Swiss armed forces working on CBRNe protection in Switzerland. What is the role of the NBC-EOD Center of Competence in Switzerland and in the broader European region? The NBC-EOD Centre of competence of the Swiss Armed Forces is responsible for NBC-EOD Defence within the Armed Forces. It issues guidance for all commanders on NBC-EOD matters and it is involved in arms procurement projects and training. The Commanding Officer (CO) of the centre is also the commander of all NBC Defence Troops of the Swiss armed forces. The Centre assists civilian authorities in case of need, i.e. if the civilian means are not sufficient to cope with a given situation (principle of subsidiarity). It may also be called upon in the framework of cross-border disaster relief. Furthermore, the Centre also assists the Organization for the Prohibition of Chemical Weapons (OPCW) with training in Switzerland and abroad. One EOD team is deployed to the Kosovo Force (KFOR), where specialists assist the United Nations with mine clearing expertise and/or ammunition stockpile management issues. Finally, the EOD Command is responsible for removal of military unexploded ordinance removal in Switzerland. As the NBC-EOD Center focuses on Nuclear and Radiological emergencies, what are its main operation areas? Could you give our reader an example of your center’s tasks? In case of a nuclear or radiological event, the Centre is able to deploy a land radiometry team within one hour. The team measures and transmits data directly to the Situation Control Centre in Spiez, where they are further analyzed and added to the national database of the National Alert central. In case of a severe and long-lasting event, further teams of the NBC Defence troops can be mobilized. In total, four land-radiometry vehicles and four systems of aero-radiometry can be engaged. The operation area is Switzerland and the neighboring areas. NBC Defense of Troops working on SIBCRA (Sampling Identification Biological, Chemical, Radiological Agents). Switzerland has been recognized for its commitment to nuclear safety on a global scale and regular international collaboration. Who are the key partners of the Center during multiagency and multinational trainings? The Center cooperates mainly with the Spiez Laboratory and the National Alert Central during multiagency and multinational trainings, while the Federal organization of Switzerland acts only upon request of both Cantonal authorities or Federal Offices (with exclusion to certain tasks which are included in Service Level agreements) to the respective Territorial Divisions or the Operations Command, who authorize the mission. At NCT Europe 2018, you gave a detailed presentation of the Center’s embedded systems and main operational equipment. Can you highlight to our reader the key characteristics and advantages? The NBC Defence troops are equipped with modern systems, which may be engaged in a modular way. The military systems can operate in all situations, while civilian systems are designed to be deployed in a benign environment. The radiometry sensors (land and/or air) are designed for immediate deployment, the provide a rapid overview of the radiological situation in an extended area. The NBC explorer vehicles based on a Piranha IIIC platform can conduct N/R and C exploration while driving. The survey of biological particles requests a static engagement. 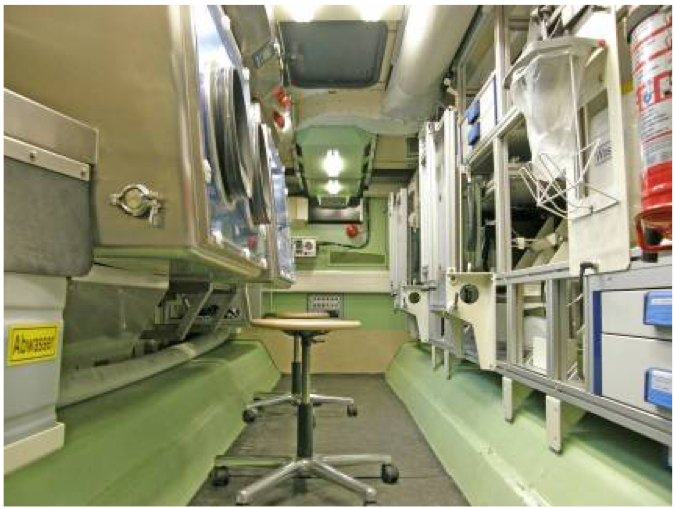 The team can survive 48 hours in the vehicle without logistics supply; teams are able to take samples without leaving the cabin. A 12.7 mm Kongsberg machinegun allows the team to defend itself. In the N, analyze B and C detection vehicles CBRN samples are near to the event site. Sampling teams can collect samples for rapid and forensic analysis. Thorough decontamination is carried out for persons, patients, vehicles and other items. The system is able to produce the necessary electric energy and clean water from surface water. Contaminated wastewater is collected for further neutralization. Today we hear about CBRNe attacks more frequently than ever. Do you foresee that the NBC-EOD Center will strengthen cooperation with its strategic European partners to better overcome the evolving threat? 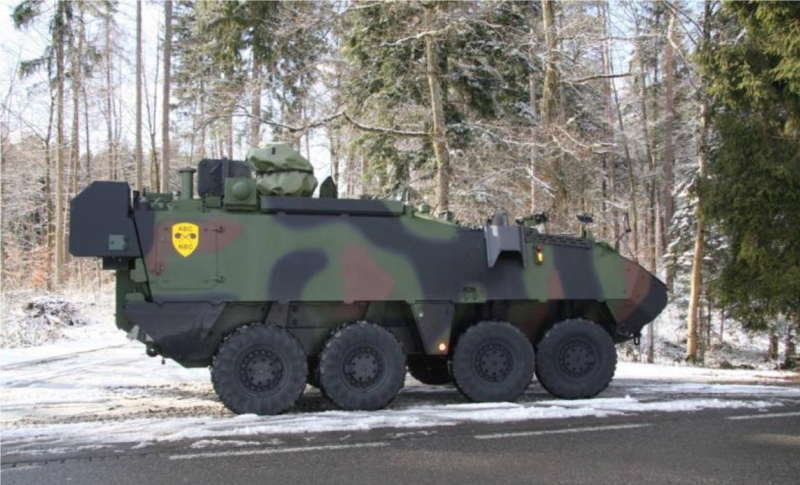 We have already a regular and very fruitful cooperation with the German Bundeswehr and the Austrian Bundesheer. We also participate in the relevant NATO working groups. Cooperation with other nations is also on the agenda if we feel it necessary. What are your suggestions to improve the preparedness of other European civilian and military first operators in CBRNe disasters? The proverb "train as you fight" is certainly still valid. 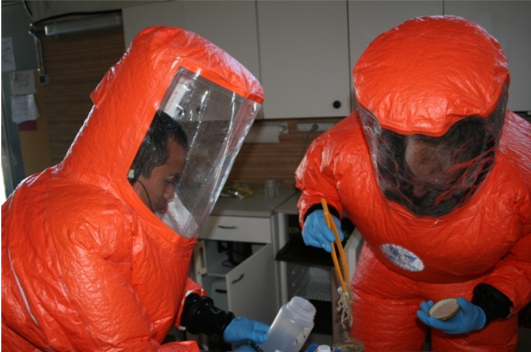 It is necessary to prepare for CBRNE situations together with the partner organizations, which you would meet in the field in case of a real-life situation. In this regard, the NCT events are very useful to exchange views and experiences with partners from industry, civilian first-hand responders and military experts. It would be worthwhile to continue this format. 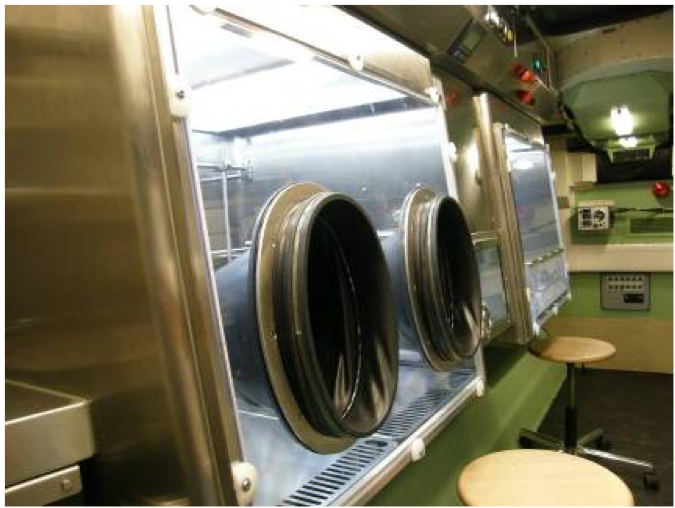 A view inside the NBC Reconnaissance vehicle: airlock for reception of samples; preparation of samples (glove box or laminar flow) and laminar flow.